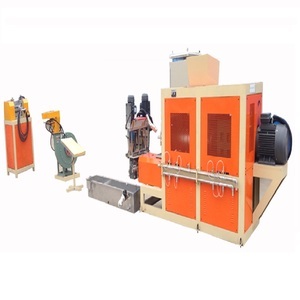 Dongguan C Fine Machinery Technology Co., Ltd. Optional choice Adpters support stands down stream equipments: suach as Gmach melt gear pump and filtration system filter mesh/screen vacuum cleaning furnace To our customers In the end I want to say something to our customers or some one may become our customers I Want to express my thanks to all my dear clients . Anyone won't buy any products from strangers until they know each other better, but it's a long time for you to understand a strange supplier well, then how you can find a best supplier during so many factories is a problem! Though we are a new member here, but we have a full experience technician team and full sense of responsibilty work team, we will provide all the customers with perfect quality products and service. Adopt 4-8 rollers working , increase press rate , it can use one mould with same hole size or different hole size according to client requirement . 2. 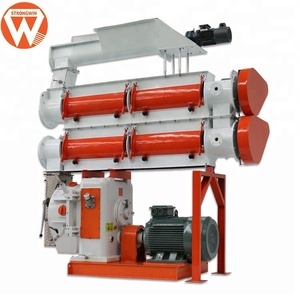 Dring process Air flash wood dryer or drum wood dryer which can dry the material under the moisture of 8%,which is suitable for pellet forming. We are fast and efficient 1 ) We have the experienced workers and efficient assembly line, and we have a long-term stable cooperation in logistics providers. 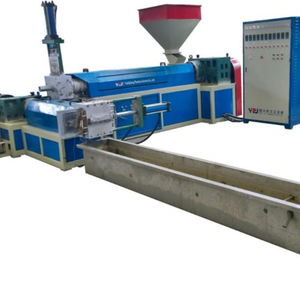 Jinan Mulong Machinery Co., Ltd.
Nanjing Cowin Extrusion Machinery Co., Ltd.
Water ring pelletizer is suitable for the pelletizing of most thermoplastics, including filled and reinforced products, such as: (1) PE, EVA etc. The circulating knives cut the melt strands and fling the hot molten pellets into the circulating water ring. New type of water ring pelletizer is characterised with more compact design and easier adjustment of cutting knives. 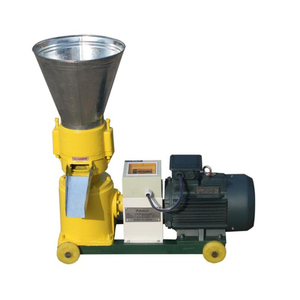 Jiangsu Yule Machinery Equipment Co., Ltd.
Alibaba.com offers 20,519 pelletizer machine products. About 33% of these are plastic granulators, 15% are feed processing machines, and 12% are wood pellet mill. 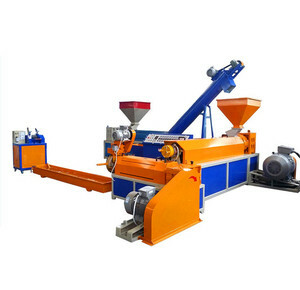 A wide variety of pelletizer machine options are available to you, such as pp/pe, abs, and pvc. You can also choose from single, double. As well as from granulating production line, recycling granulator. 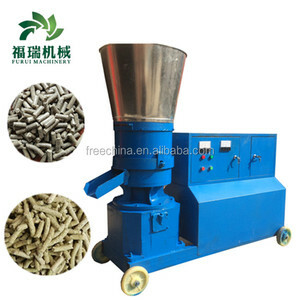 And whether pelletizer machine is free samples, or paid samples. There are 20,484 pelletizer machine suppliers, mainly located in Asia. The top supplying countries are China (Mainland), Taiwan, and Turkey, which supply 99%, 1%, and 1% of pelletizer machine respectively. 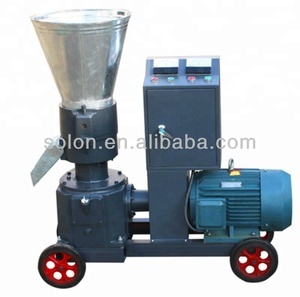 Pelletizer machine products are most popular in Domestic Market, Southeast Asia, and Africa. You can ensure product safety by selecting from certified suppliers, including 7,311 with ISO9001, 4,082 with Other, and 241 with ISO14001 certification.